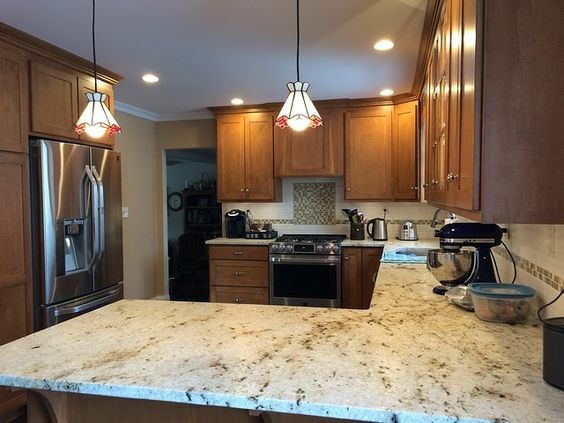 You'll want to install these colonial gold granite counters right away when you see just how beautifully they fit in your home. 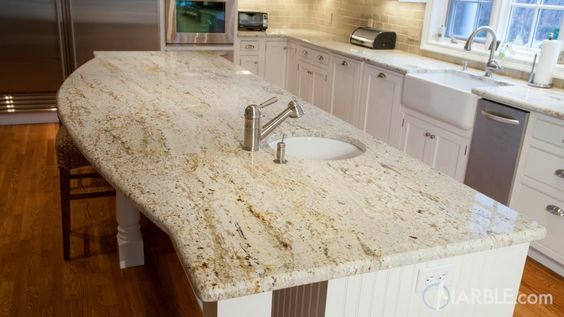 If you’re looking for a new style of kitchen countertop then you’ll want to take a look at Colonial Gold Granite. This style is actually very elegant and it’s something that you’ll like because it actually has a range of different uses. Before you’ll really know what’s going to work best, however, is take a look at some more information. This type of granite is super strong and stable. It’s actually capable of being used in freezing temperatures, which is an amazing feature for any type of countertop. These countertops are great for your indoor or outdoor kitchen because they stand up to just about anything that might happen to them, no matter where you put them in. 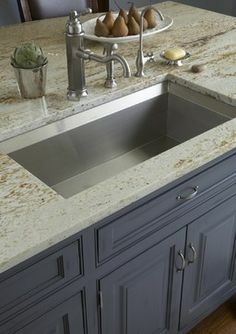 This type of granite is capable of being used not only as a countertop but also as a type of flooring or even on your walls. No matter what you want to do with it you’ll get a great amount of color and style and you’re also going to experience a beautiful look for your room. Wherever you decide to put this slab, you’re going to see a great improvement to your home. 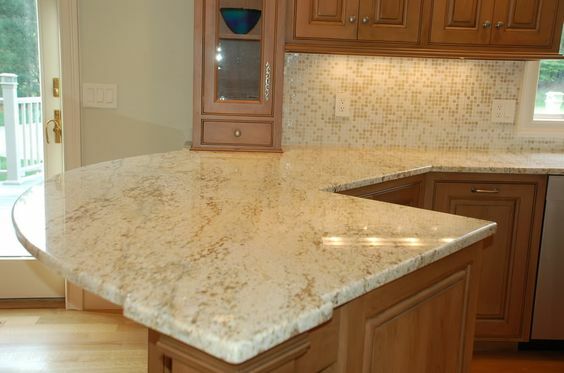 This type of granite is beautiful in color, with a creamy white or gray colored background that is then coated with colors of brown and gray. That brown and gray could come in the form of actual veining or it could be flecks or some combination of the two things throughout. You end up with a beautiful pattern throughout the slab. 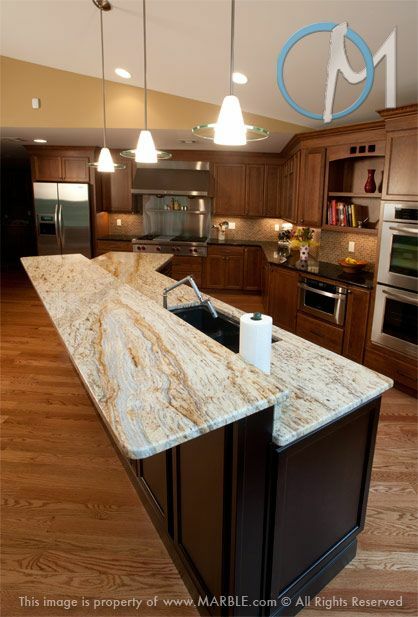 Choosing Colonial Gold Granite for yourself is actually only step one of the process. You also need to figure out where you’re going to use it and then you need to make sure you can afford it. 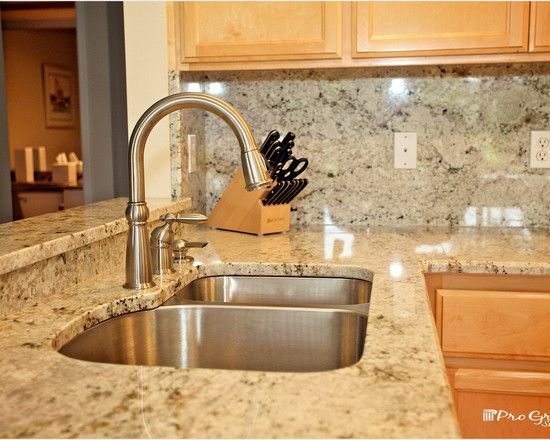 Found primarily in India and available with a polished or brushed finish, you’ll find this granite quite inexpensive. Available at anywhere from $40 to $50 per square foot, this is definitely one of the lesser priced options. The cost is good when you consider this generally includes the installation and other fees that go along with putting in new countertops. 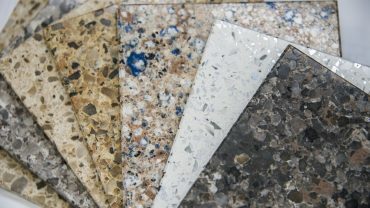 Of course, this cost could vary a little when it comes to putting these slabs on your floors, walls or as a backsplash. You’ll be paying different amounts based on the difficulty as well as the size of the slab that you want. 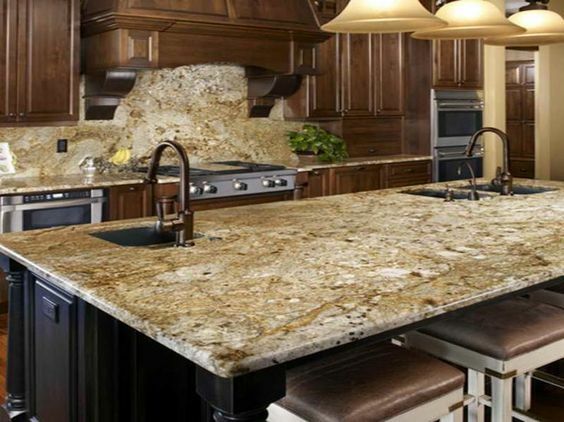 So what happens if you’re looking at getting Colonial Gold Granite for your home? Well, you’ll need to look at where you’re going to put it and you’ll want to look at each, individual slab to make sure you get something you like. Each slab is going to be unique, so be careful to look at each one you need. Whether you need only one or several, you want slabs that look the way you like. Here we have several options for you and different styles that are going to help you get something unique but still super stylish. 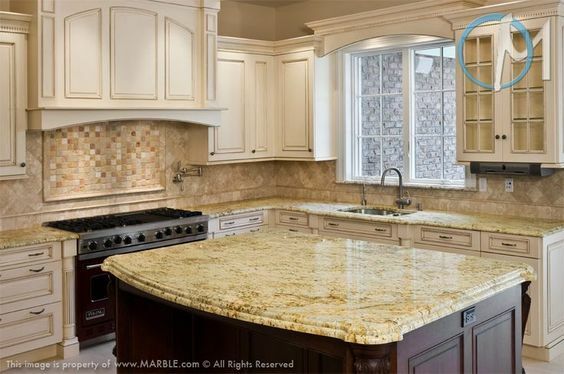 The colonial gold granite in this kitchen matches well with the tiles on the backsplash. It also creates a little bit lighter accent for the dark brown cupboards. The antique white look for kitchens is big when it comes to style, and with these countertops, it really fits the bill. Accents in deep bronze definitely complete the look. The gray cabinets are stylish and somewhat new, so your kitchen would look different from anyone else you know. Plus, the colonial gold granite gets you a little more dressy for the top. 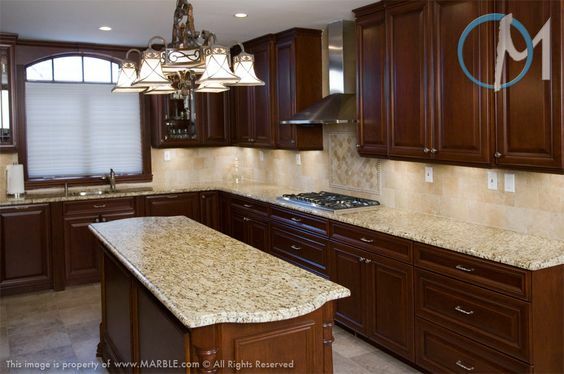 Medium brown cabinets really pull out the gold in the colonial gold granite. 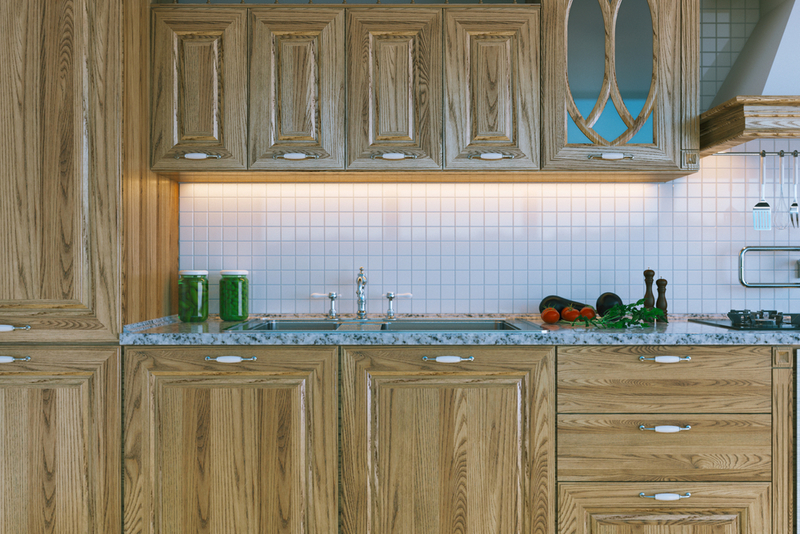 With squared off corners here, you’re getting a very standard style kitchen but still a nice looking one. The counter here is definitely unique because of its shape, which has a little bit of a jut for a counter. You have plenty of space for getting things ready and space to eat. The dark brown in these counters really go nicely with the darker accents in this particular slab. Also, the black of the island creates a great accent piece on its own. Who doesn’t love the idea of a nice counter for preparing their food and a beautiful bar to sit and eat? With this island you’re going to get both of those. You also get something that looks elegant paired with the medium brown and dark brown. 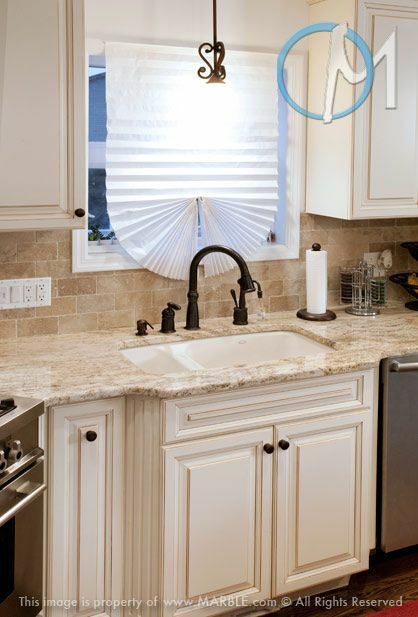 The rounded bar on this kitchen looks great and useful for eating or getting ready for meals. 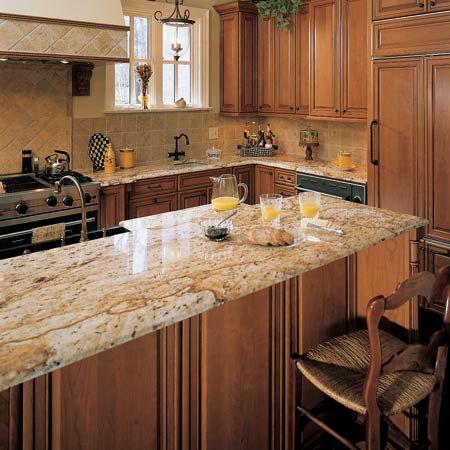 The colonial gold granite also has just the right amount of accent gold to highlight the light brown cupboards. 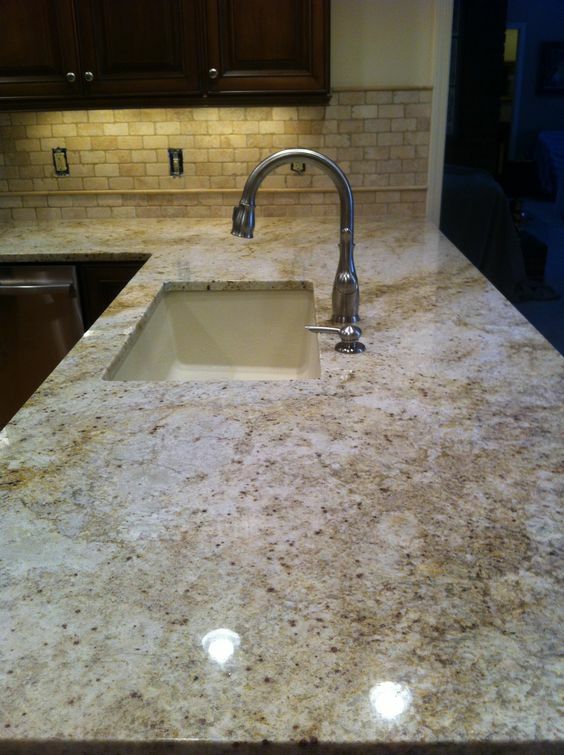 Here we’ve got the colonial gold granite not only on the island, but also up on the walls as a backsplash. There’s plenty about this setup that you’ll love too because it has older style cabinets with the upscale countertop. 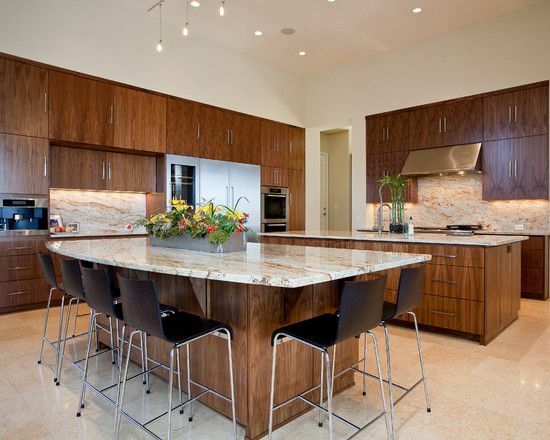 Honey colored cabinets pair with colonial gold granite on the countertops and as a backsplash. It’s definitely plenty of browns and gold to give you a toned down appearance. Cabinets don’t get much darker than this and the colonial gold granite gives it a little bit of light. Pair it with a light backsplash and you’ve got a great look that’s just the right amount of deep and dark. This looks like an old style vineyard kitchen and the colonial granite makes it even more so. Paired with similar style tiles, you’ve got your very old Italian villa. A truly unique island can really make the room and this one lends an old fashioned touch to the room. Of course, antique white cabinets give it an old world look as well.